Venerable education reporter, John Merrow, has shared information about a very important project here in Mississippi that will not only keep alive an important part of our collective past, but strengthen our future. Tougaloo is a small predominantly black college located at the edge of Jackson, MS. During the civil rights movement, most black colleges took a “hands off” role, especially those under state control but many private schools as well. Not Tougaloo. 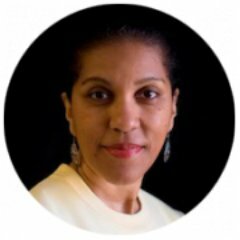 Even at the risk of its survival, Tougaloo backed its students when they got arrested, provided space for groups to meet, invited speakers whom white Mississippi deemed controversial if not subversive, and retained and promoted faculty members who campaigned for an end to racial segregation. At the time, these were very courageous, dangerous, and radical actions…. Now, some private individuals with the support of the college have undertaken a campaign to endow a “Mississippi Civil Rights Movement Chair” at Tougaloo. In Ladner’s words, “It will be the College’s first endowed chair and the first such chair in Mississippi devoted to the Civil Rights Movement.” She goes on to say, “Tougaloo paid a heavy price for its involvement. It was dubbed “Cancer College” by whites, and the Mississippi State Legislature attempted to revoke its charter.” To this day, Tougaloo is not able to draw on the economic elite of Mississippi for the kind of support that many other colleges get from their areas and states. That’s one reason this campaign is so important. I hope you take time to read the entire piece, and to help Tougaloo with this worthy project.